when I was a boy there were very few toy soldiers one could play with that were related to our Polish Commonwealth history (perhaps our Communist overlords did not envision too much glory to the noble cavalry). 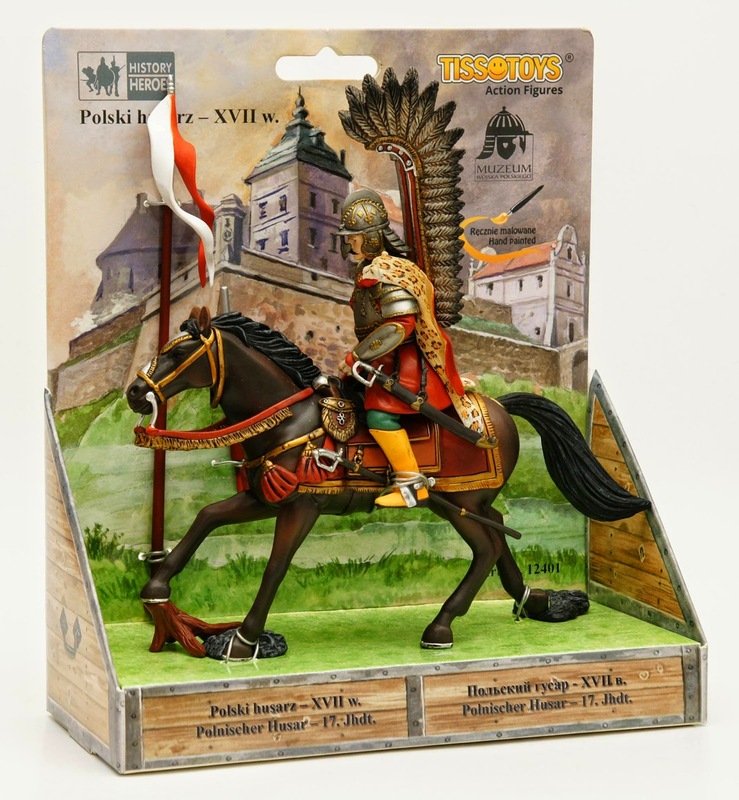 So there were several different winged hussars made from various plastic and rubber materials, but nothing really fancy and durable, and now these figures are a collector items in Poland (eg 1, 2, 3) . For some years I have been buying for my son various quasi historical figurines from Schleich, Papo and some others. 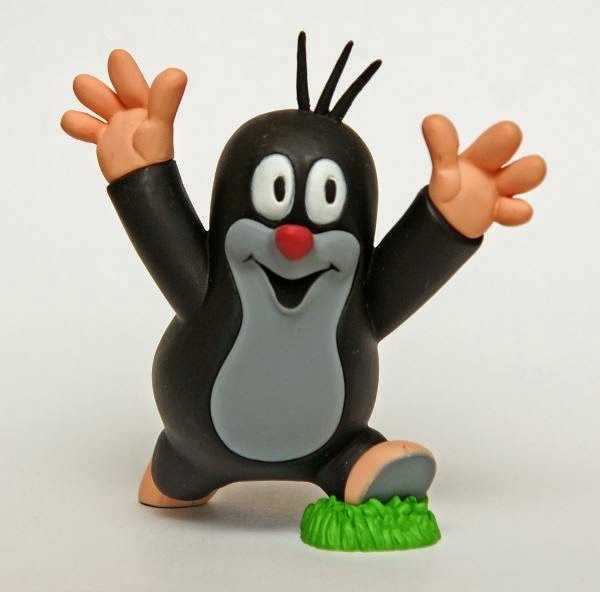 Now, my friend and great artist, Grzegorz 'ducz' Kupiec, has been sculpting figurine toys for the toy company from Poland named Tissotoys. Some of these figurines are clear representation of our Polish (and Czech, like the immortal Krecik- Krtek) most famous children films or comics characters, and he always wanted to have some Polish knights and winged hussars. but the figurine line also includes a growing number of historical toys also designed to be used as toys by children and ... adults alike :) . 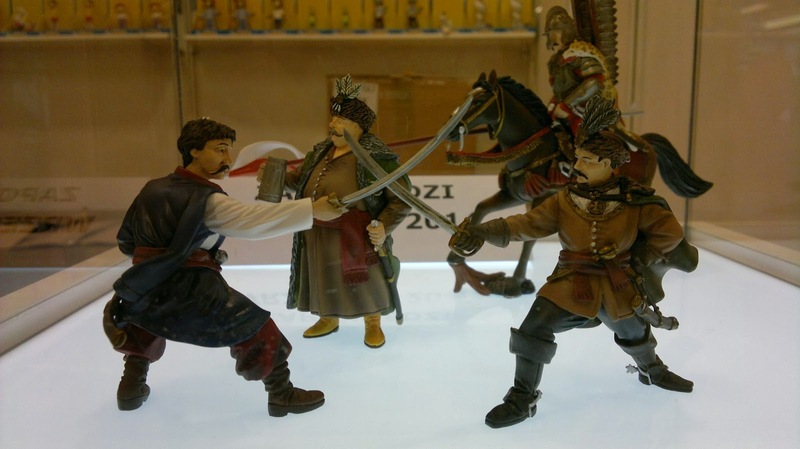 The historical figurines thus far are: pan Zagloba, colonel of dragoons, Zaporozhian Cossak (based on the principal characters from Henryk Sienkiewicz's 'Trylogy') and a winged hussar. 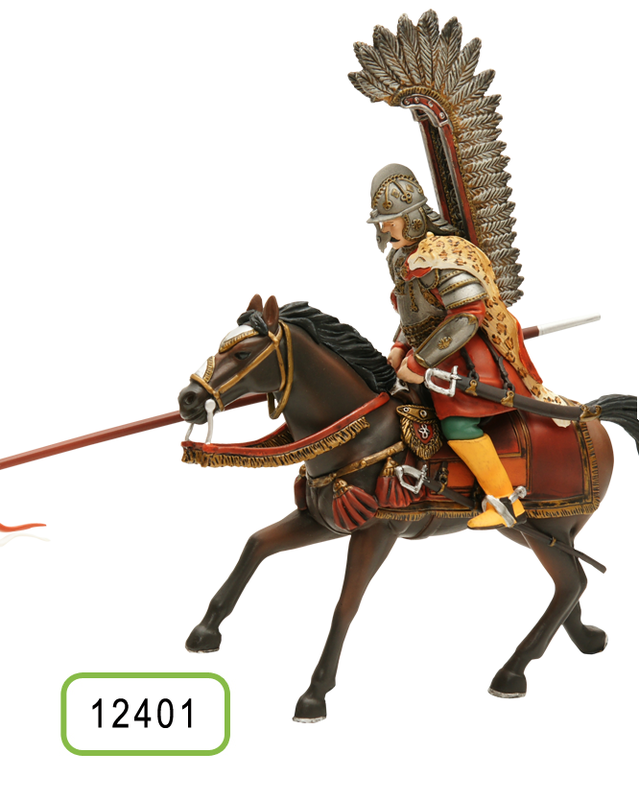 I hope the museum shops in the States, like the MET, Chicago, or Philadelphia where Polish winged hussar armours and weaponry are held, will be selling them to children. 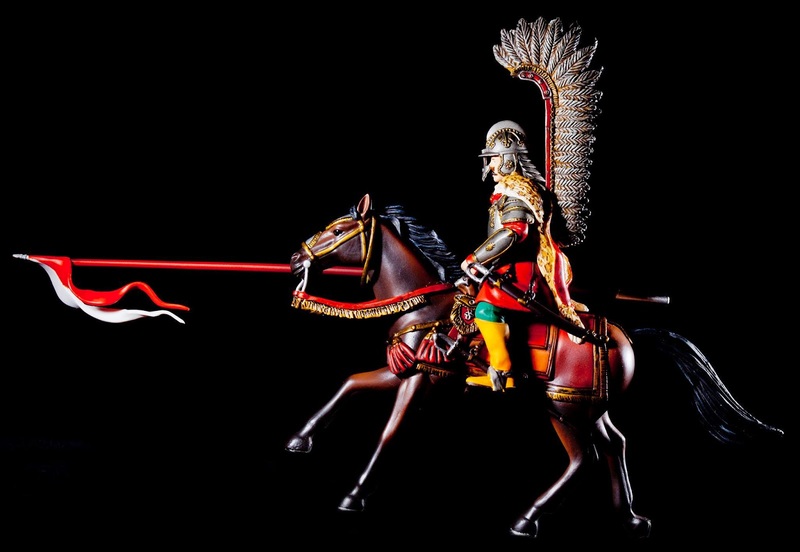 The company plans to have 'ducz' sculpt more hussars and other Polish historical figurines from various periods - from the Medieval knights to World War II toys soldiers. I do hope so. I am more than certain that 'duch' will deliver many more great figurines, to the utmost delight of children and collectors. please note I do not own the rights to these photos and the Tissotoy company kindly allowed me to show them to you on my blog. also, do note that I have no financial interest in this company nor I was approached to write this little entry. I am simply happy to see these fine figurines enter the children toy market, and additionally I am going to buy some for my own children (ok, and for myself as well). Oh, it's probably this one. hey Jan, ducz's art is some of the finest :) . Ducz had a meeting with maestro Rosinski during the comics festival in Lodz, on the facebook page of Tissotoy there are pictures of them together and also a sketch by pan Rosinski on how he would like to see Kriss done. I think a figurine of Thorgal is included in the future plans. Scythians and Sarmatians might be in the future plans... Yes, I do think ducz does commissions, write me an email and I will send you his one, cheers.